Home / Blog / What colour dog collar? Examples of colour combinations. What colour dog collar? Examples of colour combinations. 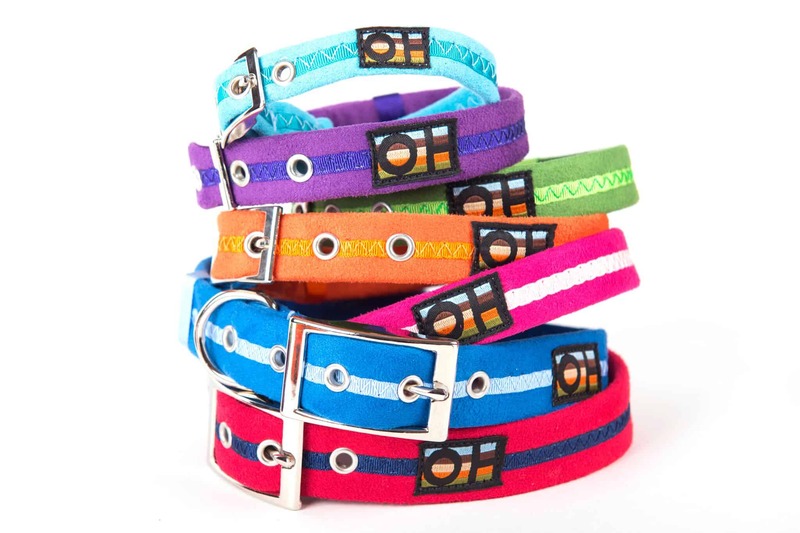 There are lots of choices of colour for dog accessories including dog collars, and what colour dog collar is up to you. However, if you fancy some inspiration then this article will help with dog colour and dog accessory colour combinations. It will also explore the science behind colour combinations, and who knows you may decide to put some of the tips into practice for yourself! The idea of colour combinations has been around a very long time, not as long as the first ever dog collar (estimated to be around 4000BC). 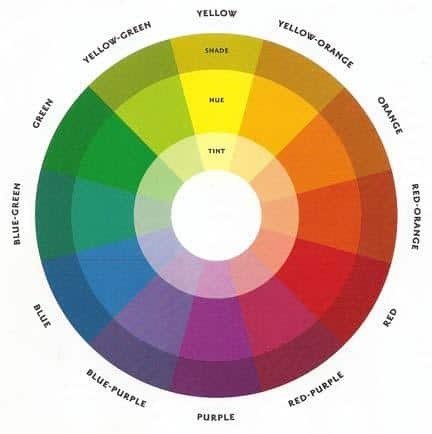 In 1666 Sir Isaac Newton developed the colour wheel. This still stands today as a tool when looking at colour combinations. The wheel has 12 colours which are known as hues, these are illustrated in the image below. Black and white are considered as non-colours and act as additions to the hues, by adding either you can lighten or darken a shade of the original 12 hues thus developing almost limitless colours. In simple terms clothing colours including dog collars are versions of the 12 hues. Grey is a neutral colour as a combination of the two non-colours. These are the colours that can’t be made by combinations of other colours, they are red, yellow and blue. These are a combination of the primary colours: green (yellow/blue),violet(blue/red) and orange(yellow/red). These are not a mix of shade of the other colours but are actual colours on their own: Red-Orange, Red-Violet, Yellow-Green, Yellow-Orange, Blue-Violet, Blue-Green. How to use the science to combine colours? If you want to be bold use a primary colour, they are vivid and will always stand out, be careful as striking on some can be shocking on others! As primary colours stand out they can work well on smaller items, so a dog collar, dog bandana and dog coat of you want to stand out from the crowd. Use secondary colours to match against primary colours, they are opposites so be very careful as some won’t match well (for example blue and orange). Develop an eye for what works well, and the effect can be impactful, see below how red if combined with green. Tertiary colours can provide a less bold way of using primary colours as they provide a muted version of the primary colour and can always look good on their own. Don’t forget black, white and greys which can add real impact when combined with other hues, hence the classic red and black. What colour dog collar for different coloured dogs? 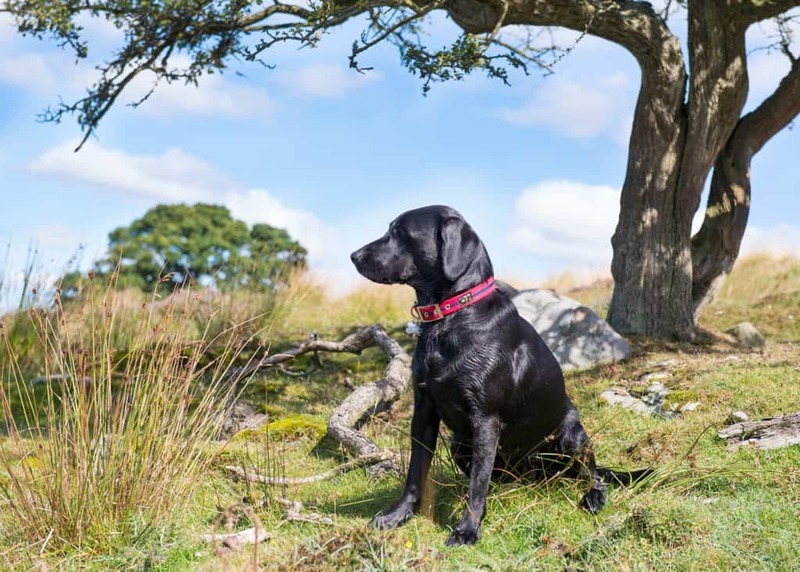 There are of course many combinations of colour on our four-legged friends, we have selected a few of the more popular to give some inspiration when thinking about what colour dog collar you might chose. 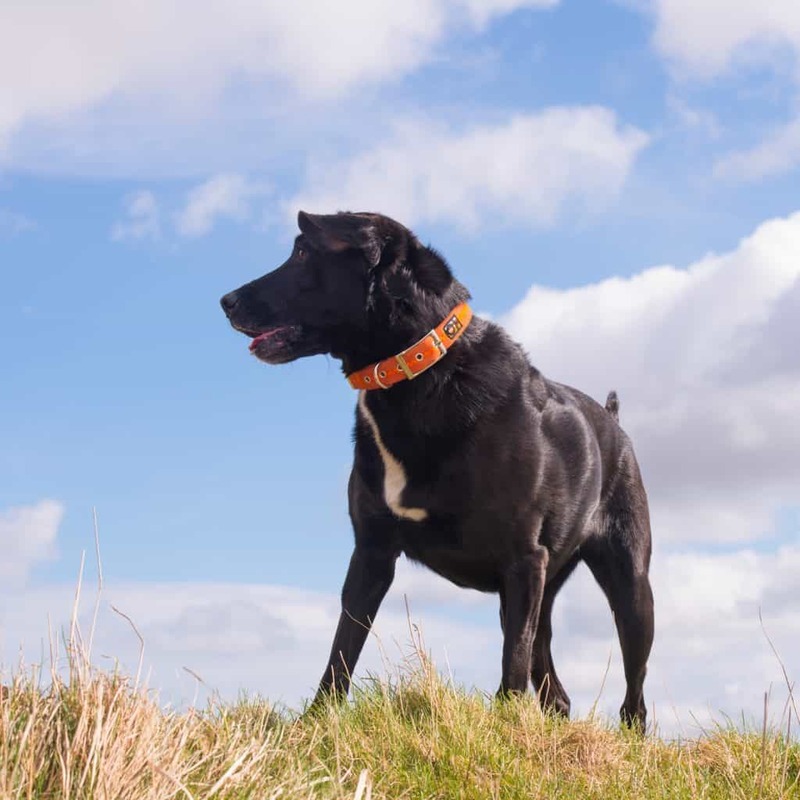 What colour dog collar for a black dog? What colour dog collar for a white dog? Like black dogs’ white dogs have a good base for most colours. The difference of course is that lighter shades may look insipid against a white coat and so darker shades may be more appropriate. 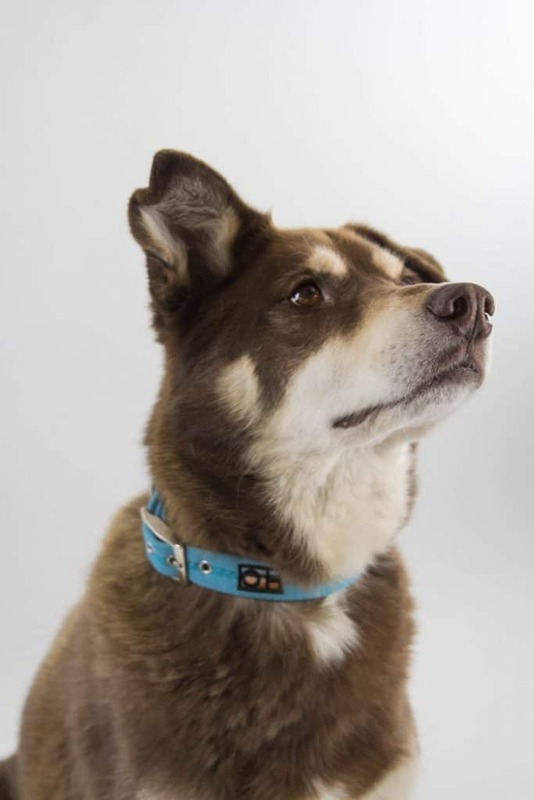 What colour dog collar for a brown dog? With a dark brown coat, you can go for bright and daring dog collar colours such as yellows and blues. Using tertiary colours will work well with brown dogs, these will have a nice contrast against a brown coat. A good rule of thumb is the lighter the coat the darker the collar so that there is some contrast. 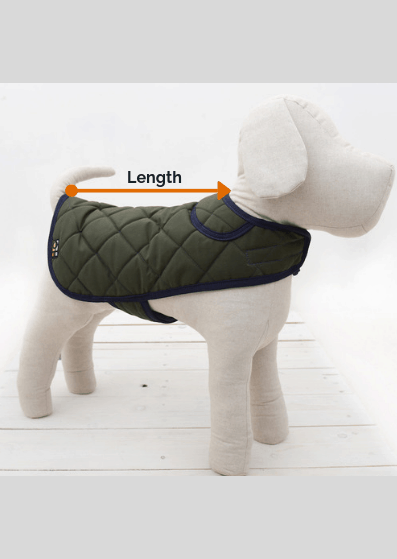 What colour dog collar for a dog with multiple coloured coat? 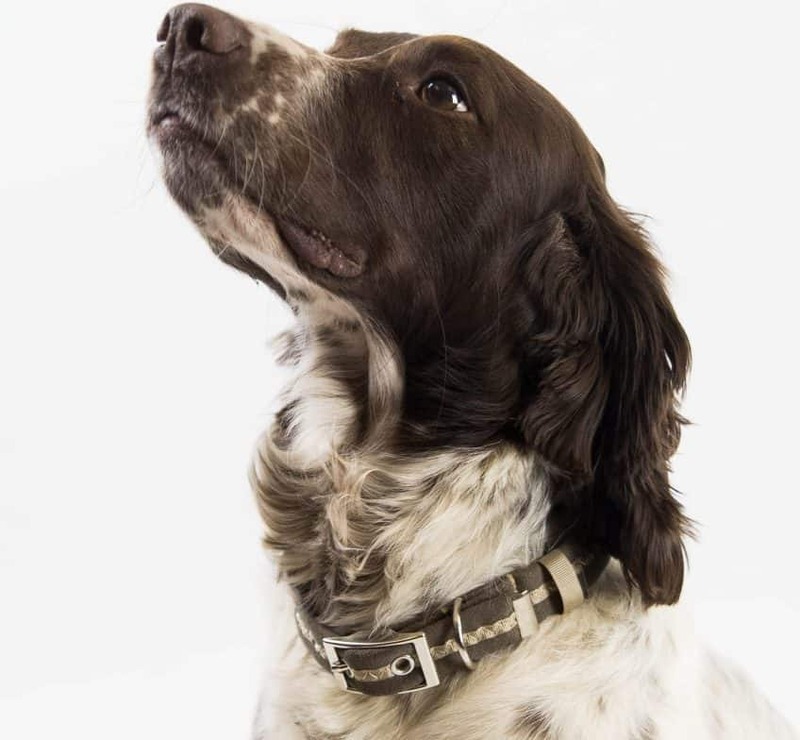 Many will choose a colour that accentuates one of the colours on the dog, so picking a grey dog collar for a white/black/grey dog (see below) can look nice and is a subtle way of styling your dog. You can also be bold and use a primary colour as long as it doesn’t clash with any of the colours seen on your dog, again tertiary colours can be a very safe way to go and also will accentuate any dog. Whatever you choose remember it’s your personal choice and what other people think doesn’t really matter, also dogs can’t see all of the colours in the same way we can (see here for an article relating to this). For more inspiration you can view lots of dogs in different colours here on our Instagram page, to shop for the best colour for your dog click here.